On November 30, 2010, the Institute of Medicine’s (IOM) Food and Nutrition Board (FNB) revealed in a report requested by the Canadian and American governments, that North Americans are receiving acceptable levels of vitamin D. This statement is in complete opposition of past and recent reports that state large percentages of Canadians and Americans are in fact deficient in this vitamin. The headline “Vitamin D deficiency soars in the U.S., study says”, appeared in Scientific American March 23, 2009. Quite simply, it states that three-quarters of teens and adults are deficient in vitamin D correlated with diseases from cancer to diabetes. These findings were published in the Archives of Internal Medicine. Determining daily dietary reference intakes (DRIs) for vitamin D has been assessed by a committee chosen by the IOM. Taking into consideration dietary vitamin D levels in the body as well as the synthesis of vitamin D from sunlight exposure, it was concluded North Americans require 400 IUs daily while the recommended daily dietary allowance was increased to 600 IUs, specifically for bone health. They also set the acceptable level of vitamin D in the blood at 20 ng/m, ascertained by a specific test called 25 (OH) D3. 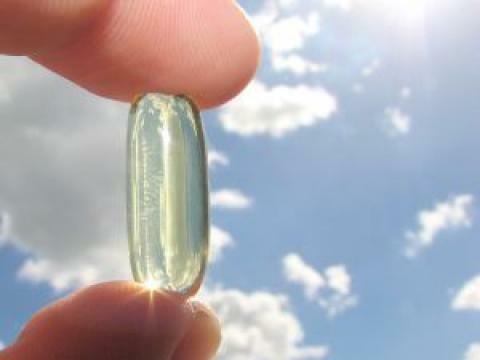 They also raised the upper limit or the amount one can take without side effects to 4,000 IUs of vitamin D. Although the new guidelines are a move in the right direction, those who relentlessly study this precious vitamin feel disappointed with the narrow vision of the report (bone health only) along with the low values. The IOM committee makes the assumption that due to cancer risk, most people endure little sun. Dr. John Jacob Cannell MD, the executive director of The Vitamin D Council in the United States and a well known researcher specializing in vitamin D makes an interesting point. He declares the report cautions against natural vitamin D – the sun, considering a range of up to 30 minutes of sunshine without sunscreen can produce 10,000 IUs. He humorously indicates that the Food and Nutrition Board “is implying that God does not know what she is doing”(6). Dr. Heaney MD, considered a leading vitamin D researcher says, “there were no day to day vitamin D scientists on the panel, and the working vitamin D community says they’re off base”(3), referring to the IOM committee and their findings. Both Dr. Heaney and Dr. Cannell state that many studies showing a correlation between higher vitamin D intake and its health benefits beyond just bone health were ignored. Carole Baggerly, founder of Grassroots Health weighs in adding, the committee excluded decades of epidemiological studies that had backed up the connection between multiple diseases, subsequent deaths and vitamin D use. What Vitamin D Level Is Considered Deficient? The IOM characterizes a deficiency as less than 11 nanogram/millilitre. In Canada, 2 laboratories that measure vitamin D levels claim deficiencies at either less than 25 or less than 30 ng/mL. Dr. Cannell claims a 25 (OH) D of 30 ng/mL is too low. He would like to see winter and summer values remain between 50-80 ng/mL. It is important to understand that this optimal range does not happen overnight. Dr. Heaney regards the IOM as not having met the standard explaining that vitamin D intake should equate to maintaining blood levels between 40-60ng/mL. Stipulating a standard dose for an entire population is a cookie cutter approach, an approach that defies the unique biological makeup of the Homo sapien species. Personal factors such as illness, skin colour, age, sun exposure, sunscreen usage, diet, residence, weight and body fat percentage, should play a role in deciding dosage because quite frankly vitamin D benefits go beyond just bone health. Things That Make You Go Hmmmmmmmm? · the chairman of the IOM committee was a vitamin A expert? · 15 vitamin D experts reviewed the report, their opinions have been suppressed!